It’s one thing to design a home, another to build it. Sometimes we’re glad to just be on the sidelines watching it all come together. We hold a healthy amount of respect for the framers of the construction world. They are too often overlooked, yet they are the ones who provide the shape of our homes and bring these designs to life. 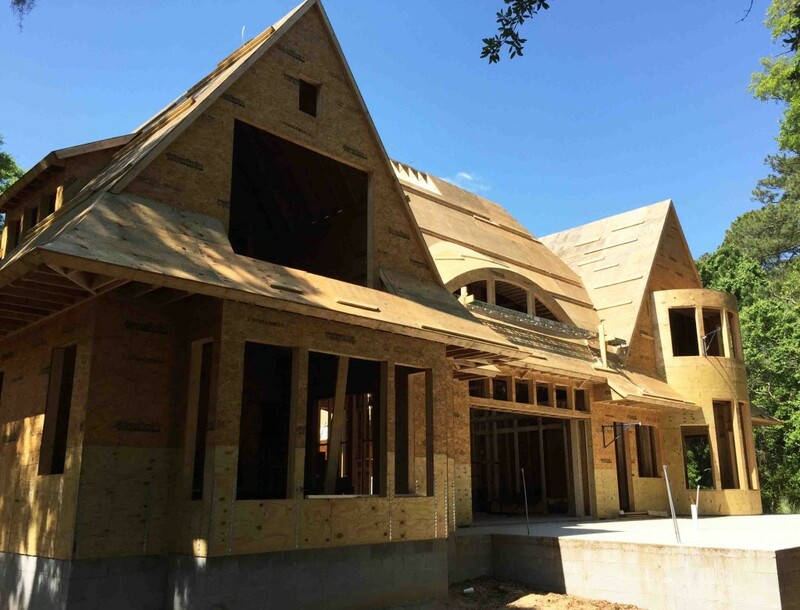 Our friends at Renew Urban are in the midst of working alongside their master framing team to shape this home. 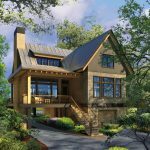 They began with our drawing set and elevate the structure with wood framing create the spaces, culminating with the rooflines. The drawing above is a building section, a visual ‘cut’ through the floor plan showing how the interior spaces relate spatially. This section shows how the entry, living room and outdoor spaces work together and allow movement and light to interact with the home. Once you’ve entered the home, this view overlooks the living room towards the outdoor patio. A sixteen foot wide ‘nanawall’ door system will fold into the walls to create one large living space, from indoors to outside. 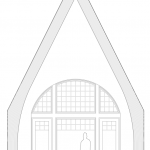 Transom windows will be above the door along with a set of windows above them that form one large ‘eyebrow’ window. These elements will all work together to frame the views and allow naturally daylighting to fill the living space. Isaac, the project manager, is standing right where a 10′ wide linear fireplace will be constructed. Above is another view looking back into the living room. You can begin to see how the wide door, transom windows and eyebrow window above are beginning to work together to define the living room entry. 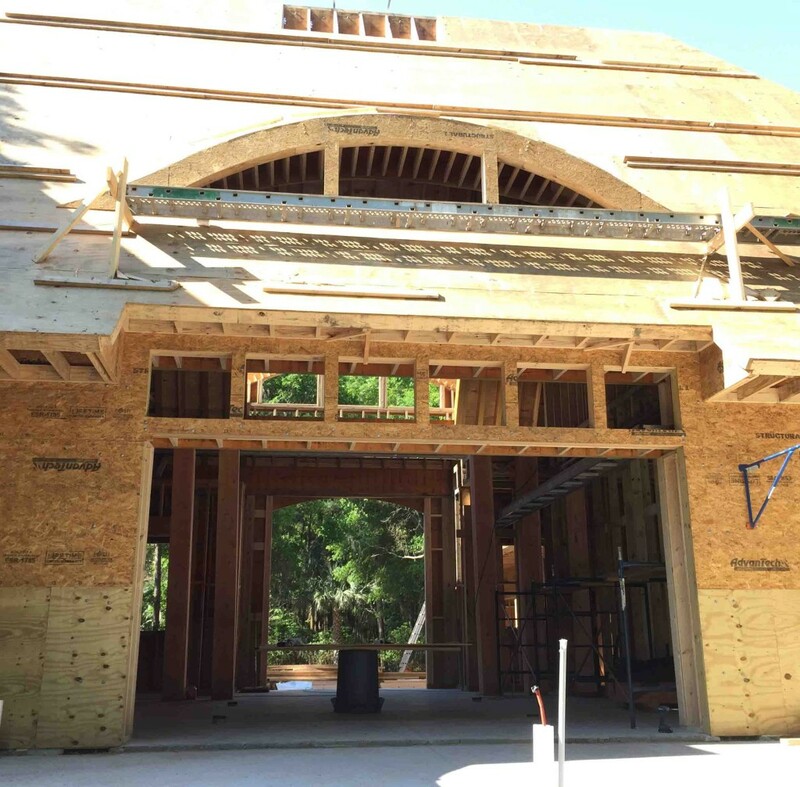 The front entry can also be seen beyond with another eyebrow window being framed above it. 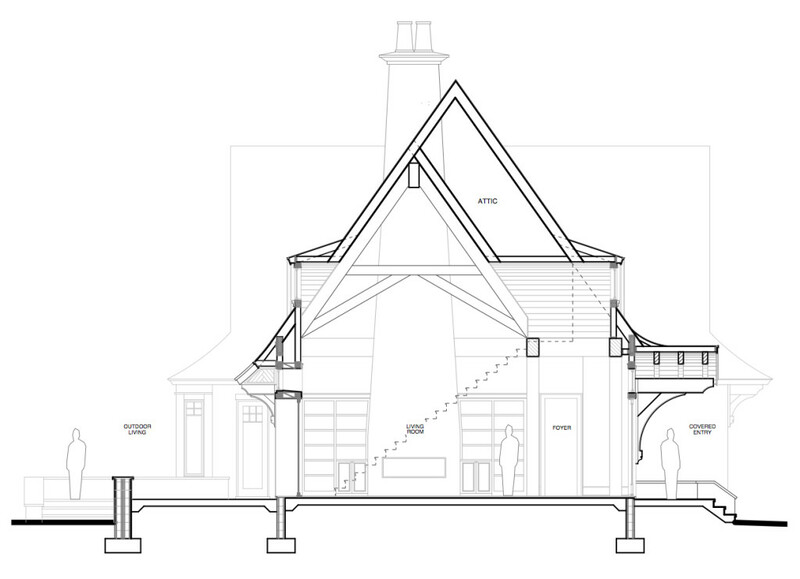 We find that spending more time early on detailing our drawings allows a good framer to spend their time finessing details in the field, rather than having to design on their own. 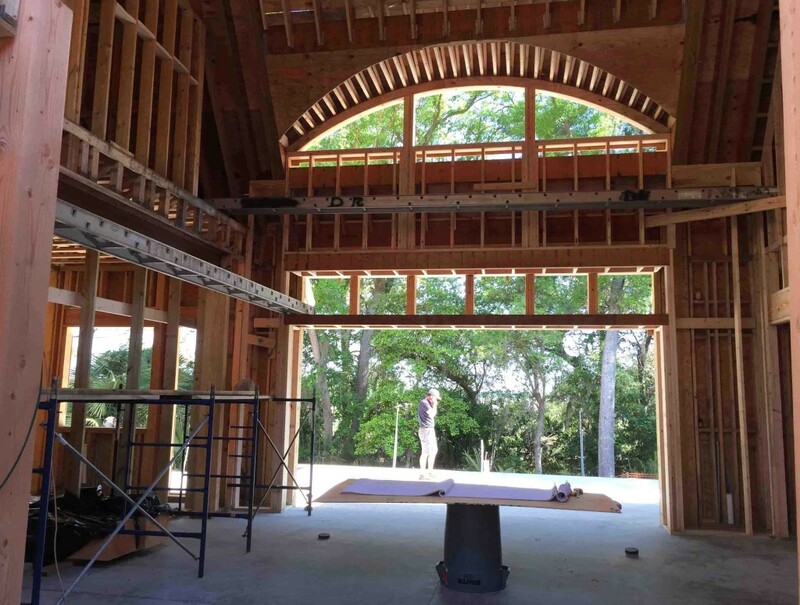 This design provides a challenging framing job that is coming together exceptionally well. One last exterior view of the home shows the framing almost complete. A master suite comprises the left side, the main living spaces the middle and the kitchen + dining + guest suites are on the right side. Views from the patio expand over a golf course fairway with marshes beyond. These views will provide the sense of place for this home. Our goal since the beginning has been to accent the views with many different openings. The home is located along the golf course within Cassique, a neighborhood of Kiawah Island, SC.